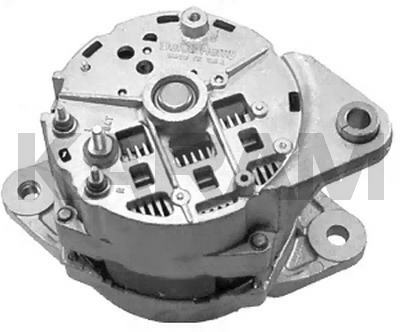 This is the Same Unit as the 240-859, Except This Unit Uses the Later Rotor Shaft and the Larger Rear Bearing. This is a 130A "Can Use" Unit for Many of the Lower Amp Units With a 5/16" B+ Stud, a 10-24 "R"-Terminal, and 10-24 "I"-Terminal. The 22SI Unit With Specs Virtually the Same as This 21SI Unit is the 8072 (240-4015A). 22SI Units Have Improved Physical Characteristics Over the 21SI, as Well as the Autostart Trio Feature Not Used in the 21SI. This Should Be Considered if Using the 22SI In Place of the 21SI.